Create irresistible displays and teach color basics. 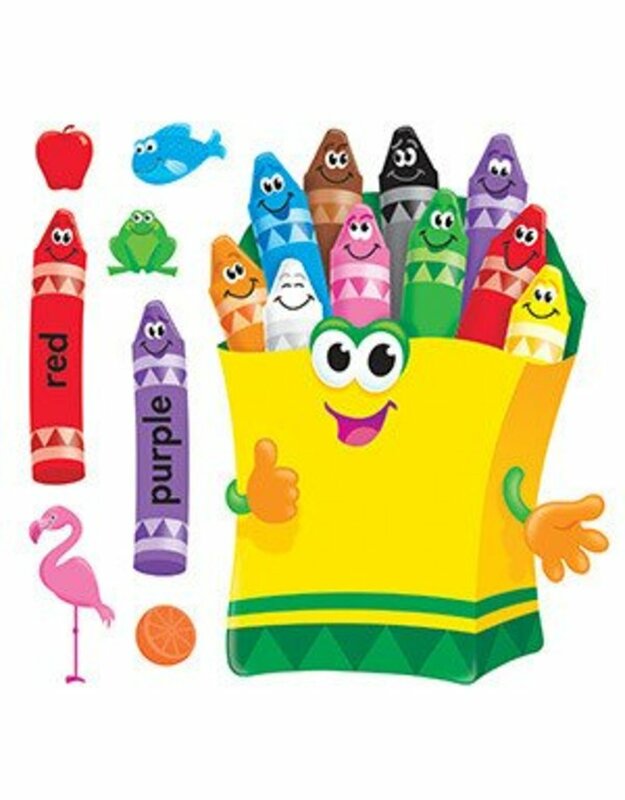 Includes 29" crayon box, 10 crayons, and 10 objects to teach colors: red, orange, yellow, blue, green, purple, black, brown, pink, and white. 21 pieces, up to 29". Includes a Discovery Guide with creative activities that teach and delight!